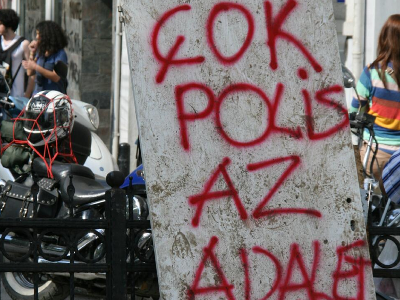 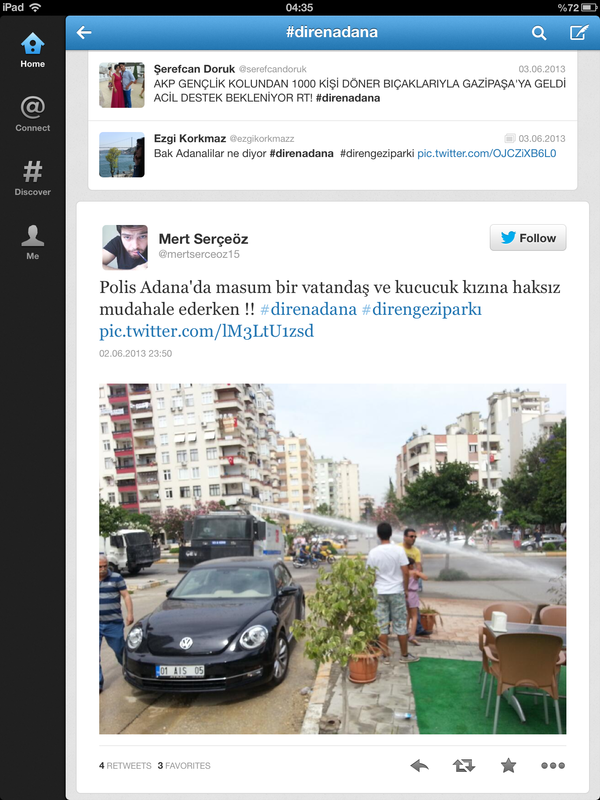 Early in the morning, protestors cleaned all the streets in Taksim and Adana. 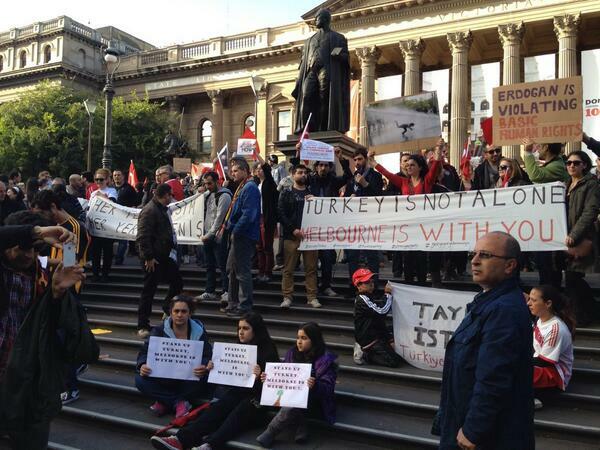 Taksim was peaceful. 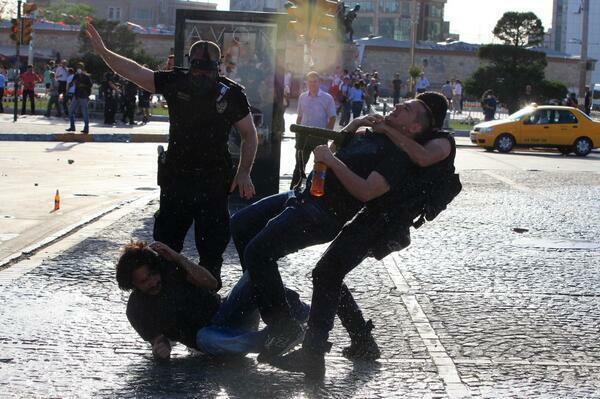 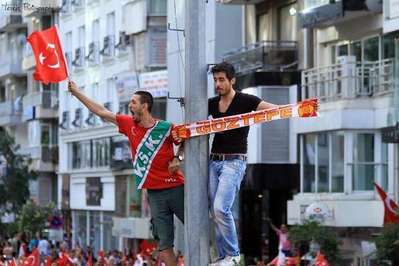 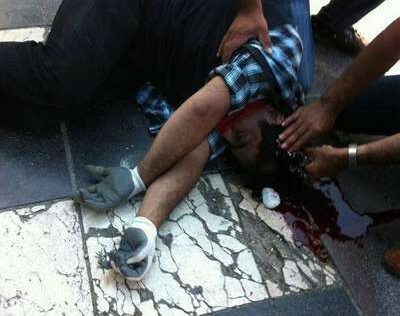 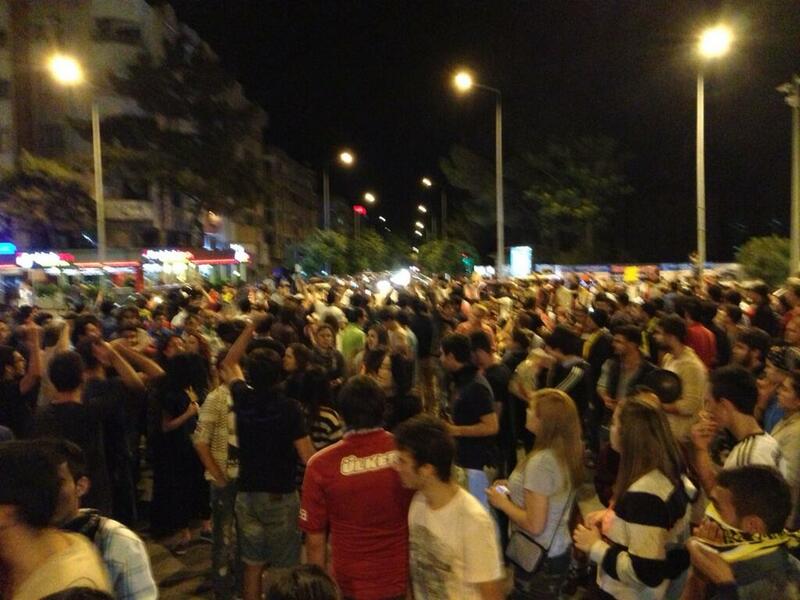 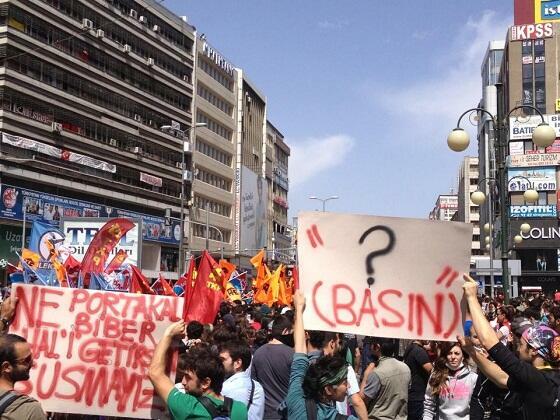 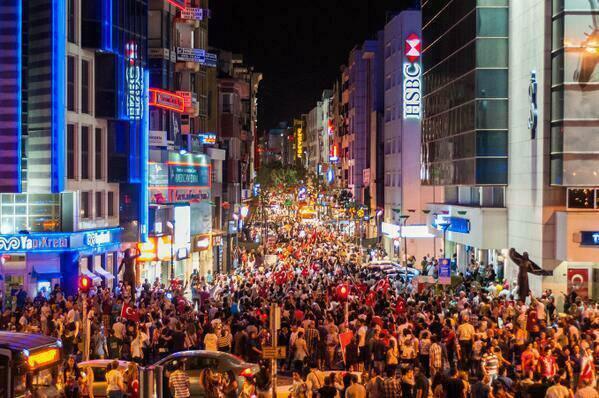 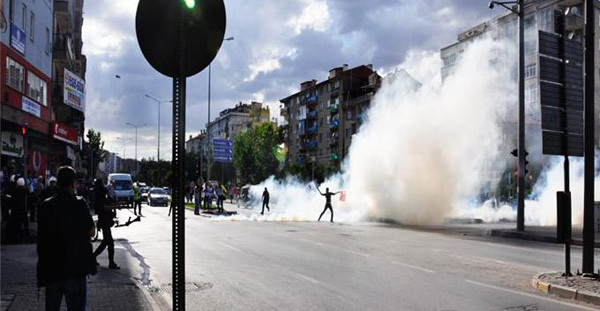 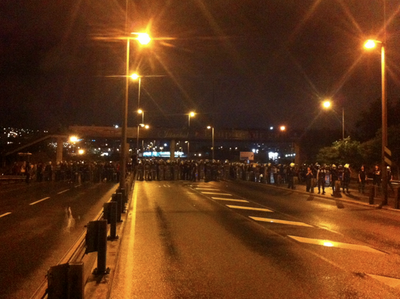 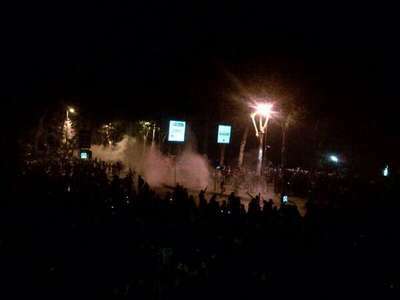 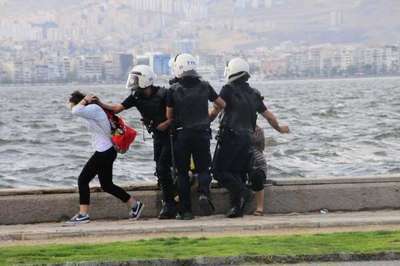 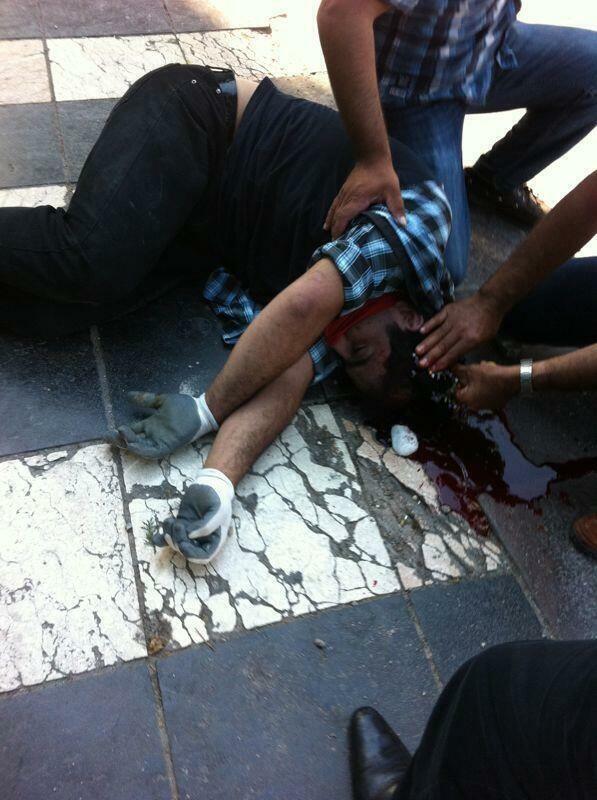 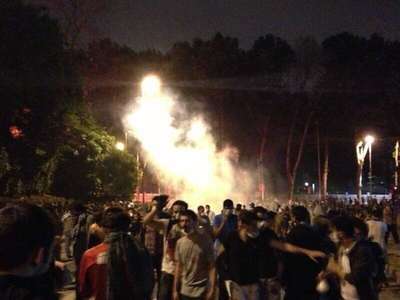 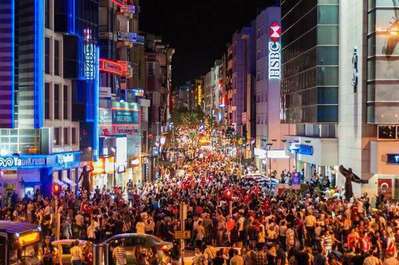 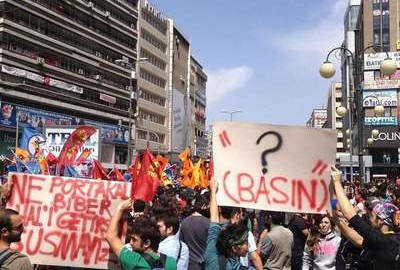 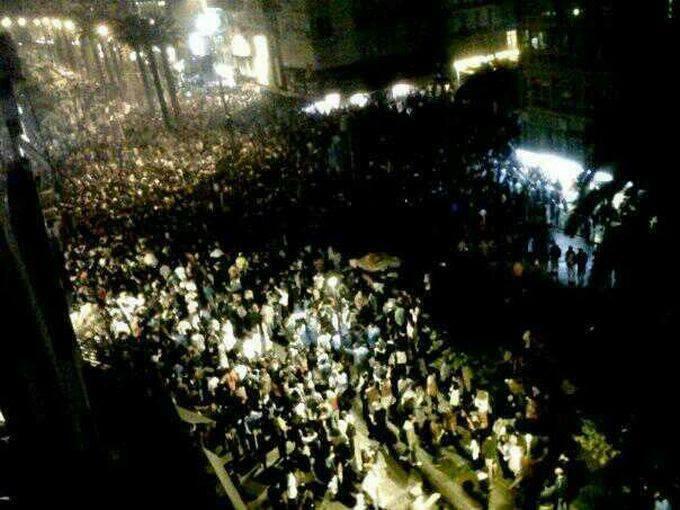 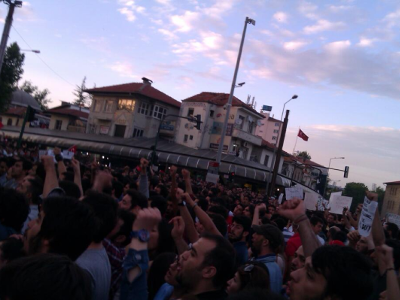 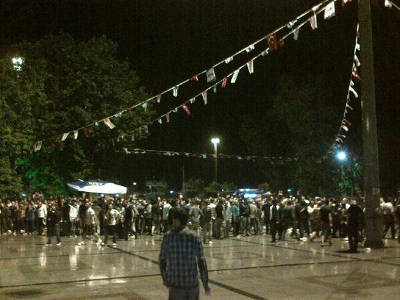 The clashes in Ankara, İzmir and Adana continued for the whole day. 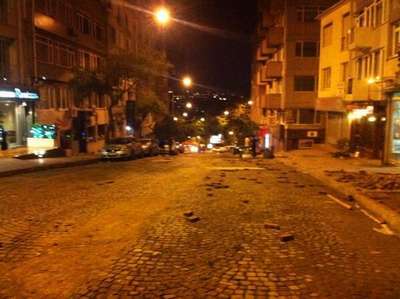 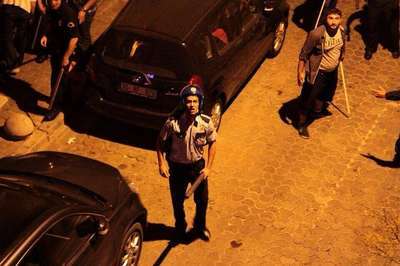 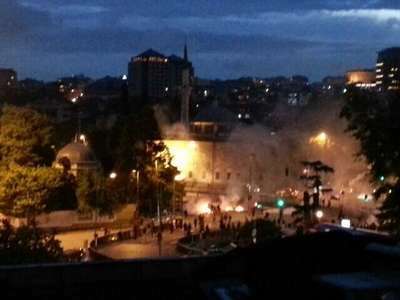 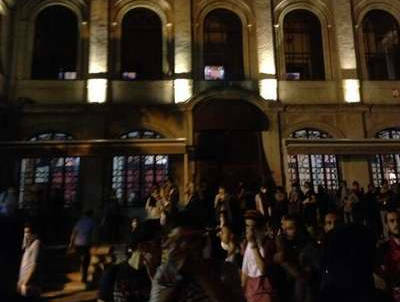 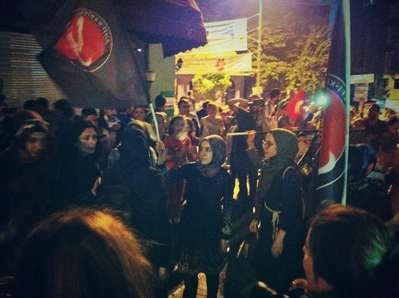 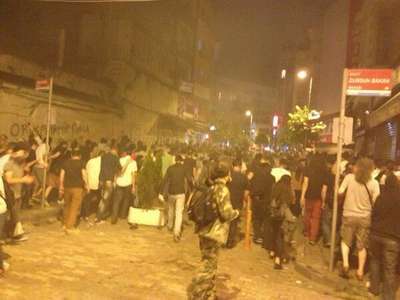 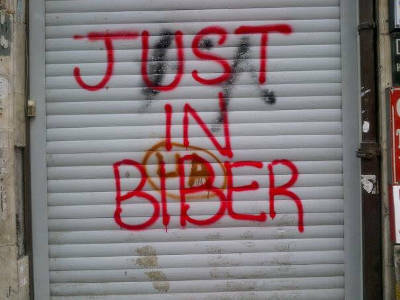 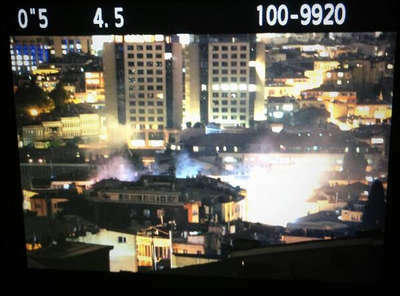 In the evening, police clashed with the protesters in Beşiktaş as well. 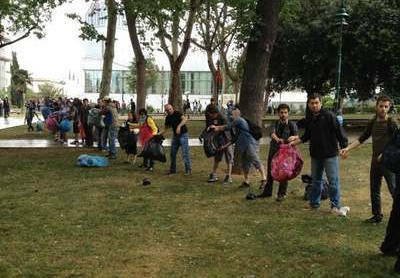 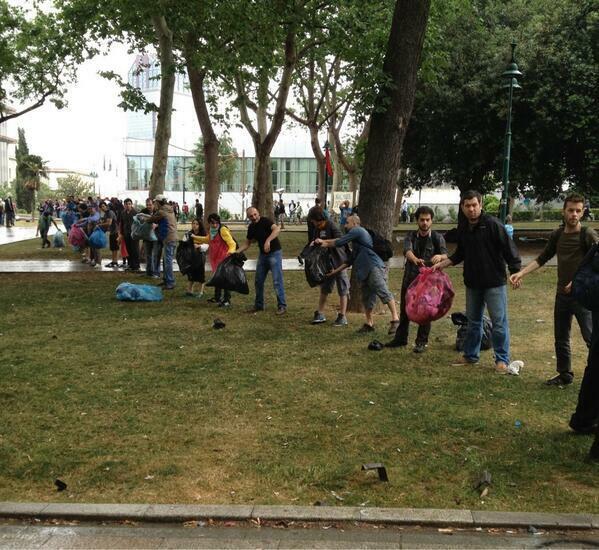 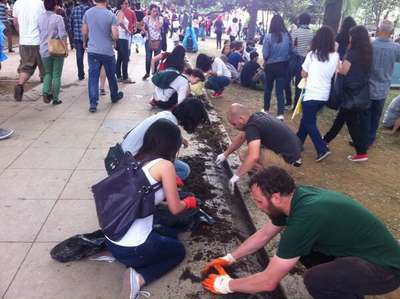 Protesters cleaning Taksim Gezi Park. 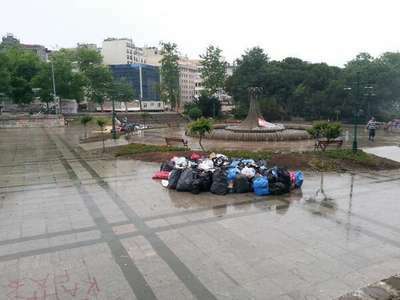 Taksim Gezi Park after cleaning. Protesters cleaning streets of Cihangir, İstanbul with municipality personal. AKM building in Taksim, İstanbul. 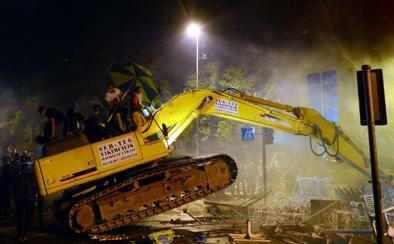 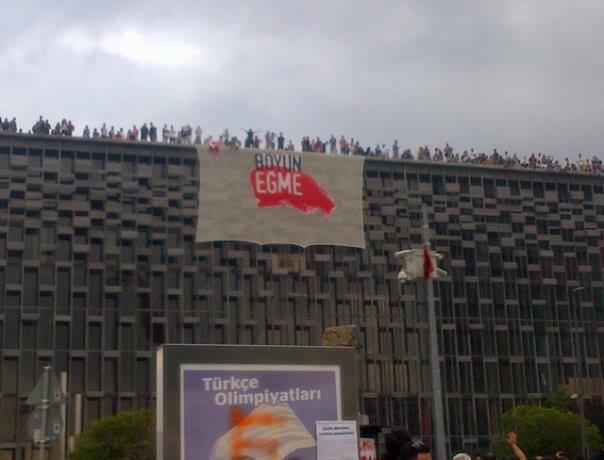 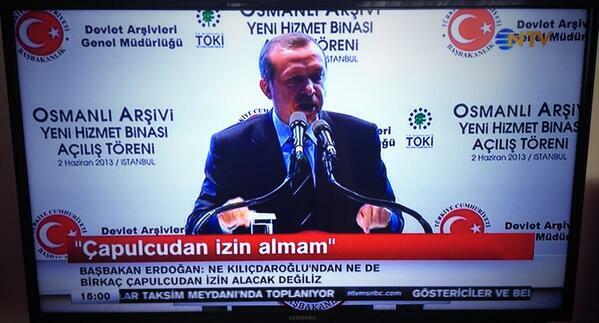 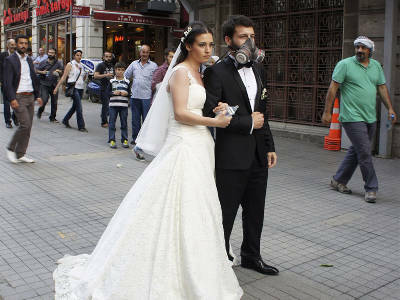 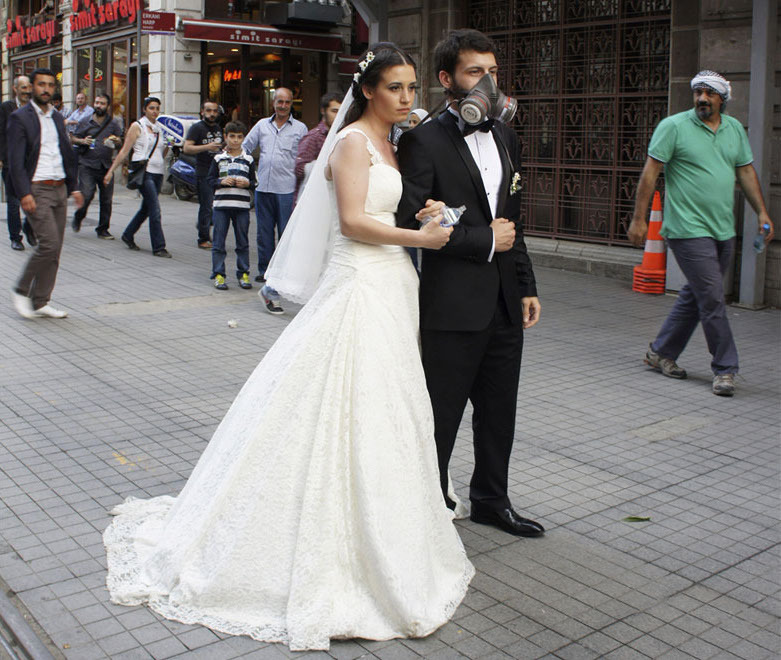 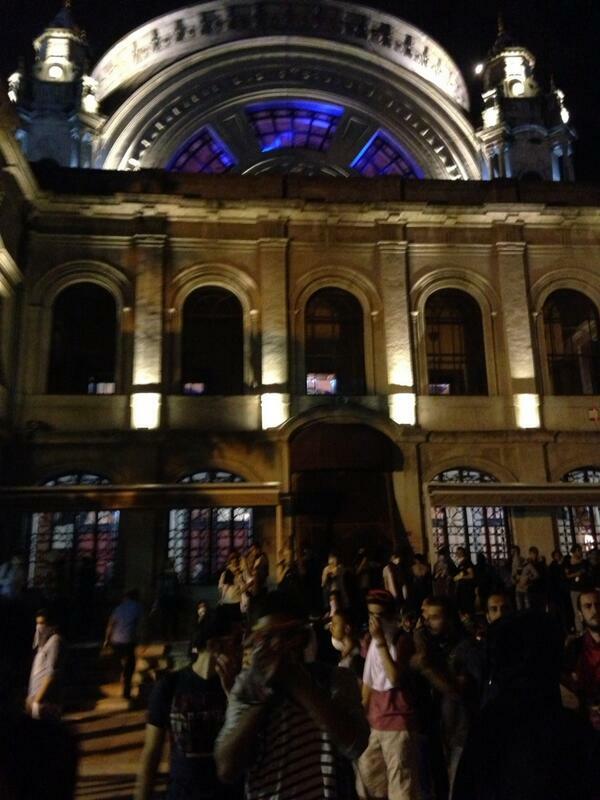 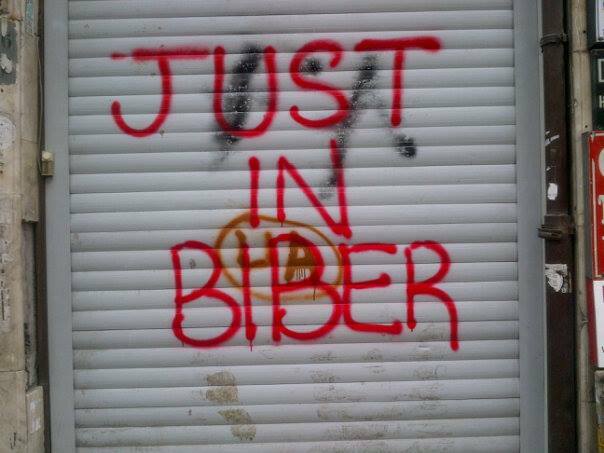 "We will not build a shopping mall in Taksim, but a mosque." 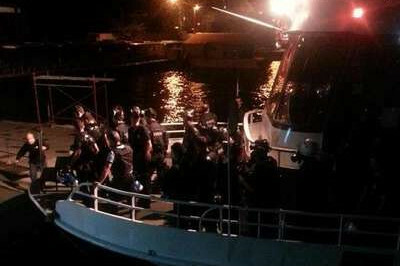 "I do not take orders from marauders." 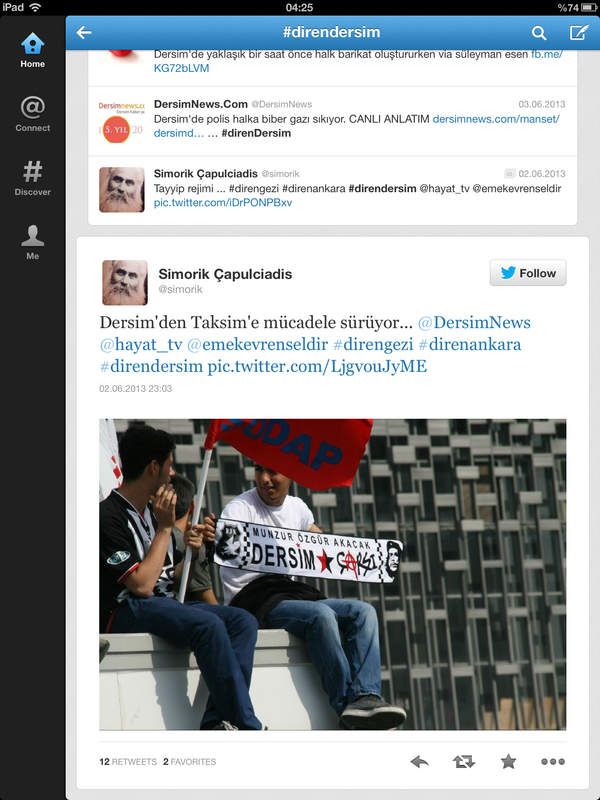 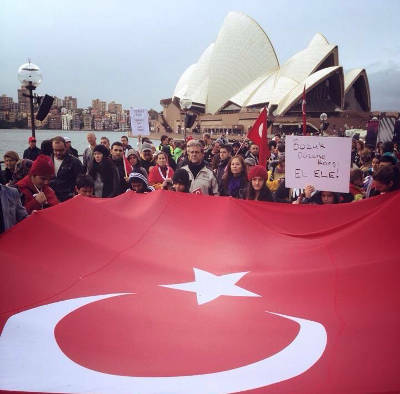 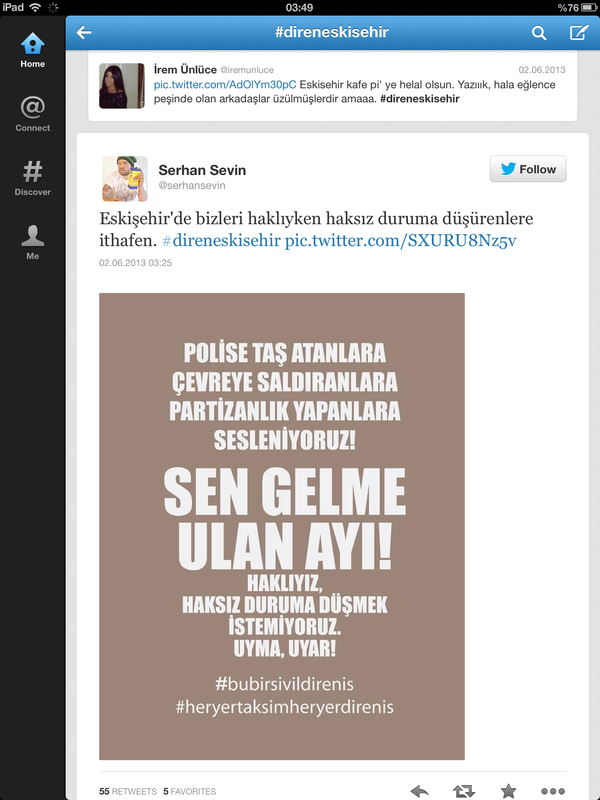 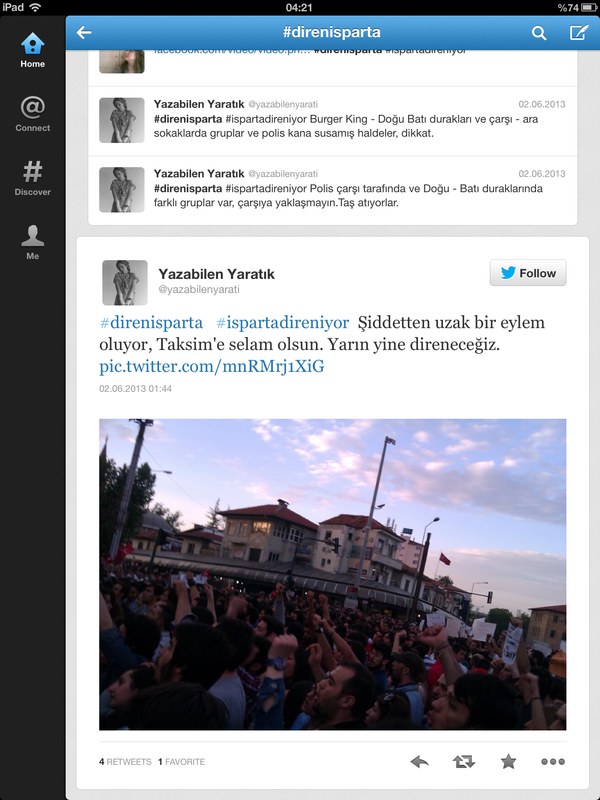 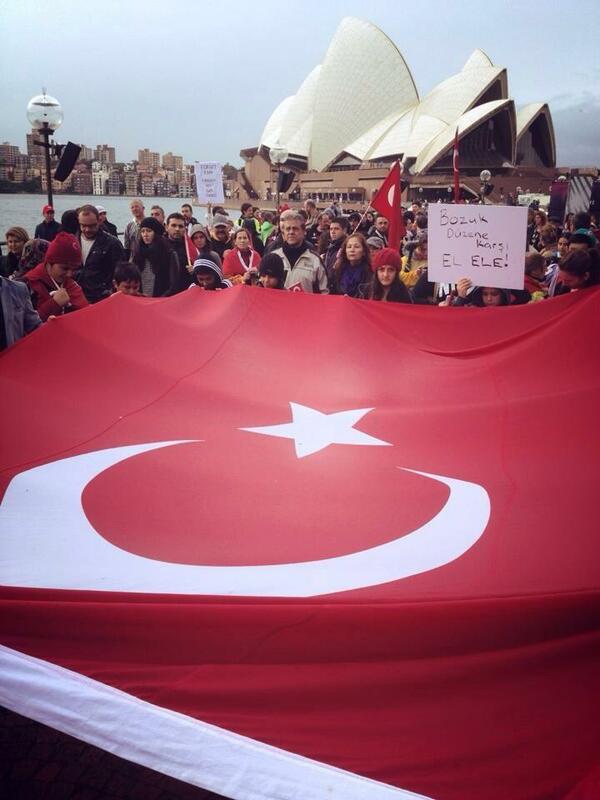 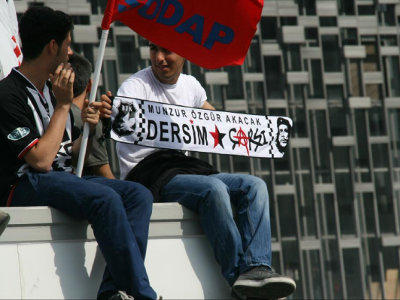 His word "çapulcu" [marauder] used to refer to the protesters ironically embraced by the protesters themselves. 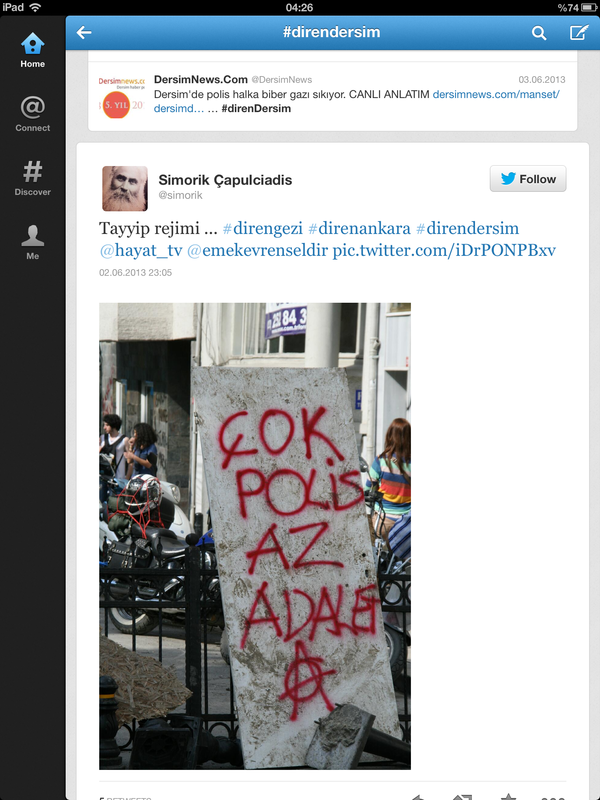 This argument had an unexpected impact on the internet community. 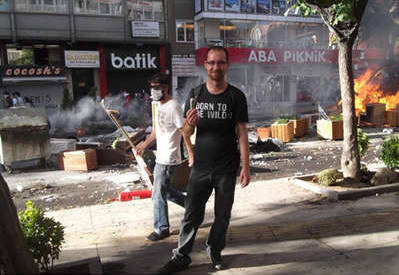 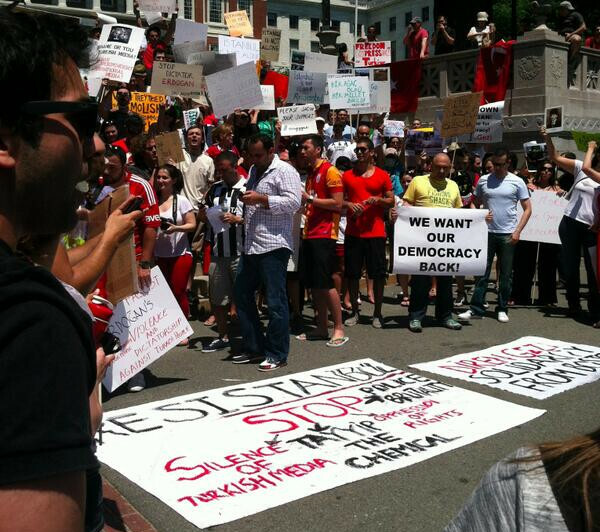 Protesters all around the world started to use the word "chappul" to refer to themselves and the verb "to chappul" to express the act of protesting. 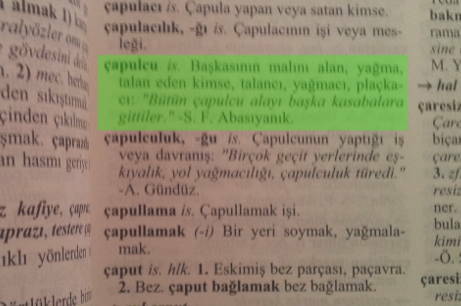 Further, Turkish government has gone to the point of changing the meaning of the word "çapulcu" in national Turkish dictionary. 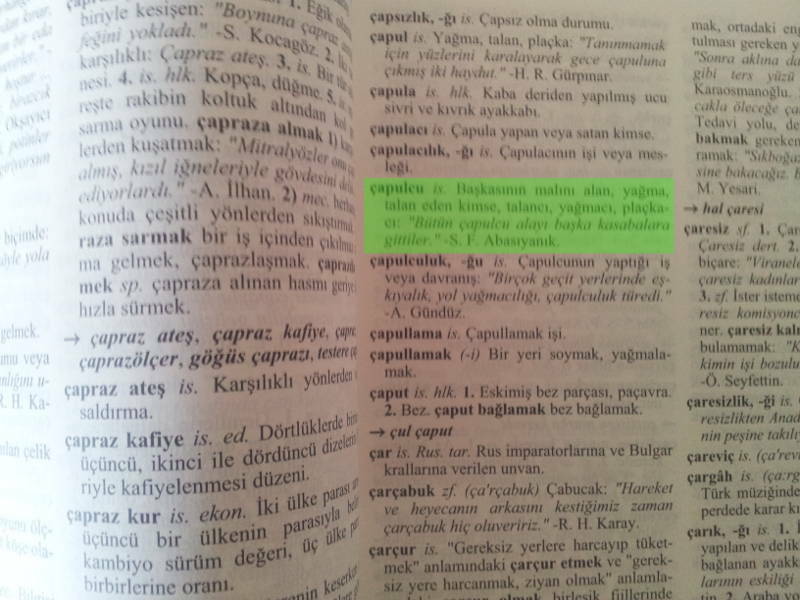 The (old) meaning of the word "çapulcu" in national Turkish dictionary: A person who steals, robs, and plunders someone else's property." 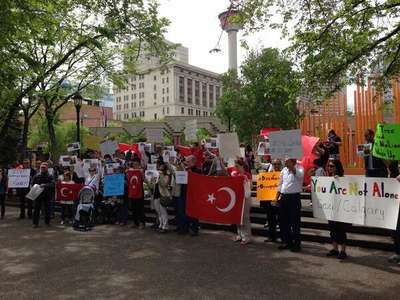 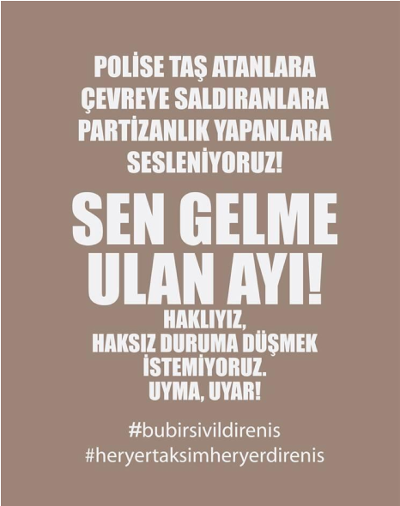 After government alters the name of the word "çapulcu": "A person who acts against and distruptives the regime." Artists giving a press release. 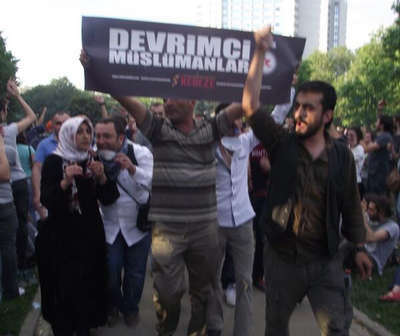 In Beşiktaş, İstanbul, Dolmabahçe mosque accepts the protesters that need medical care. 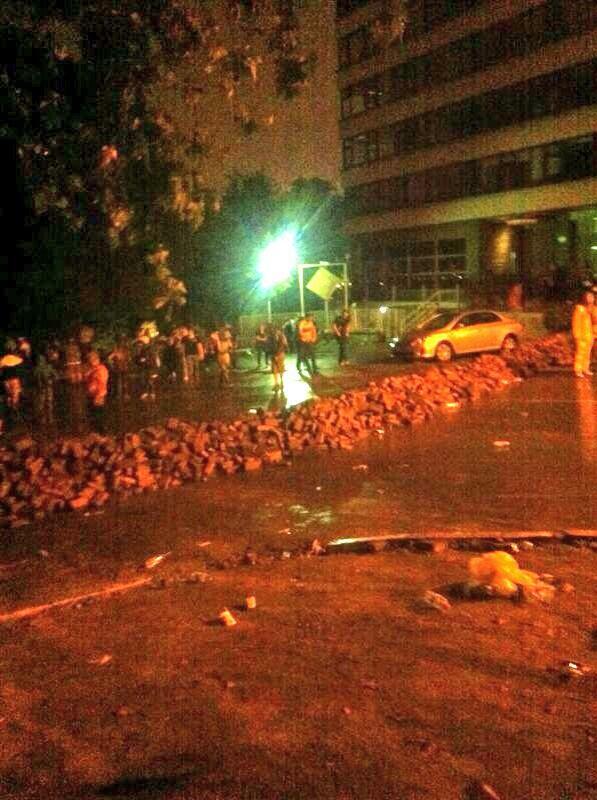 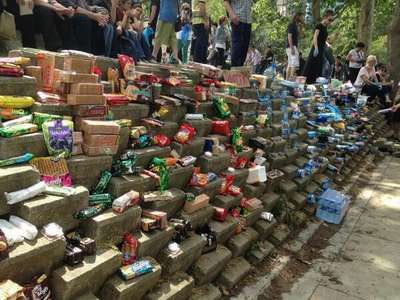 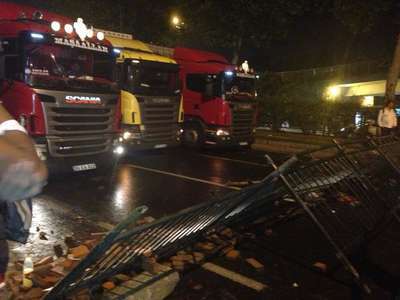 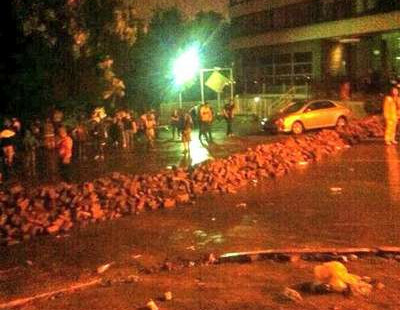 Protesters barricade the entrace of İstanbul Technical University, Gümüşsuyu, İstanbul. 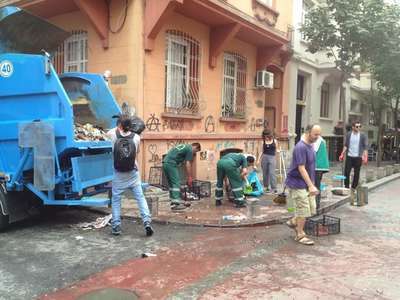 Protesters cleaning İstiklal street, İstanbul. 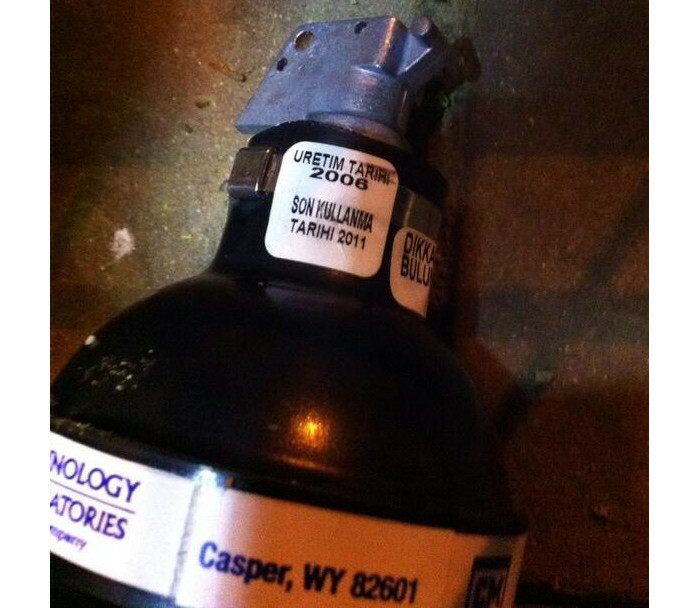 A tear gas shell. 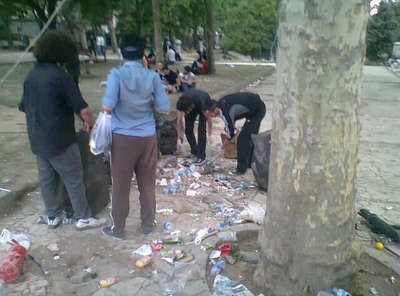 Production date: 2006. Expiration date: 2011. 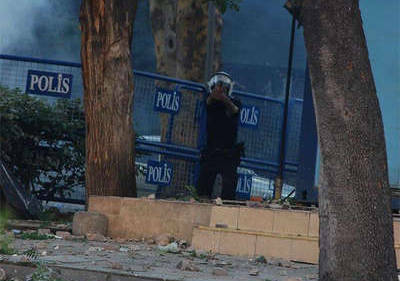 Left behind policeman gets trapped into a corner by the crowd and uses his firearm. Incoming police forces, Beşiktaş, İstanbul. 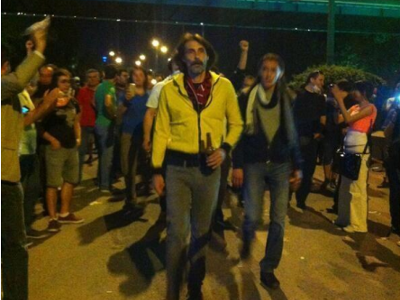 Truck drivers supporting the protests in Beşiktaş, İstanbul. 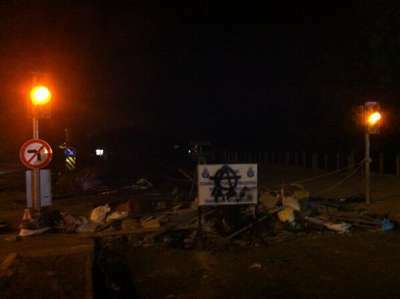 Protesters hijack a construction vehilce to attack against the police forces. 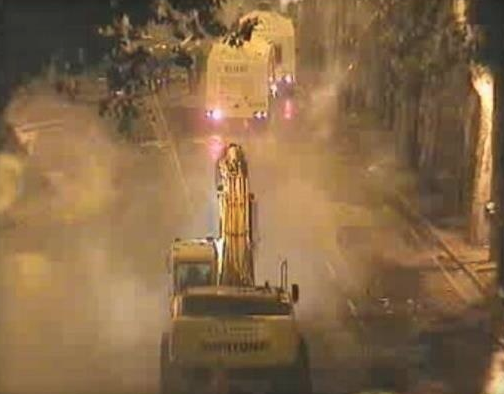 Hijacked construction vehicle, Beşiktaş, İstanbul. 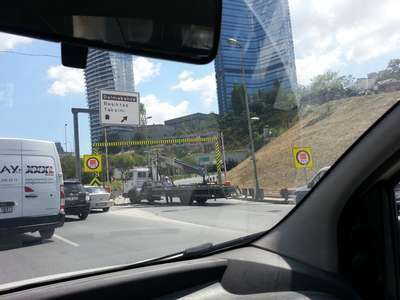 Police forces close down the highway in Uzunçayır, İstanbul to prevent the protesters from passing to the European side. Metrobus is shutdown in Beylikdüzü, İstanbul. 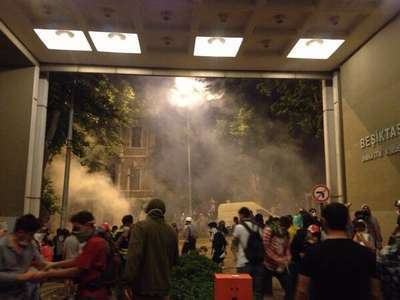 Protestors tell that they do not want violent participants who intentionally attack to the police and damage the public domain. 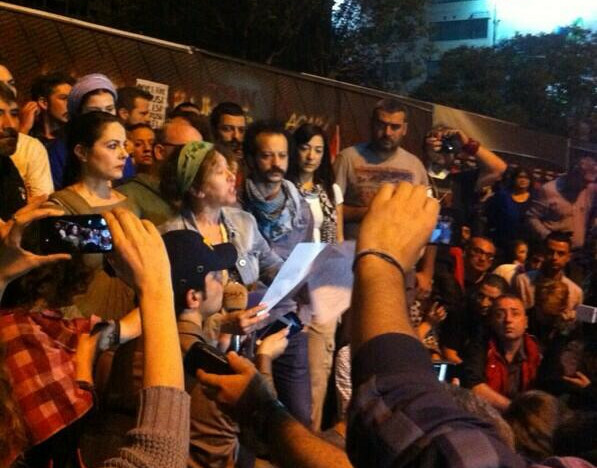 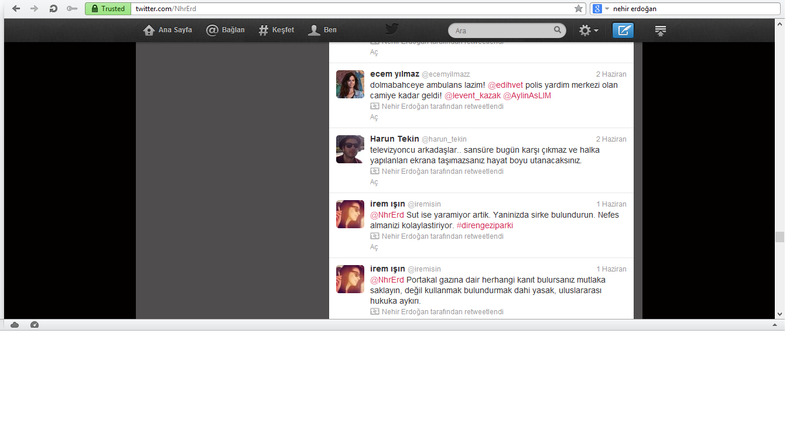 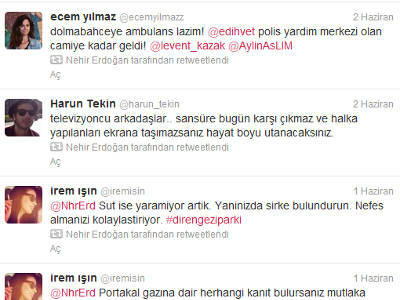 Musician Harun Tekin critisizing the press. 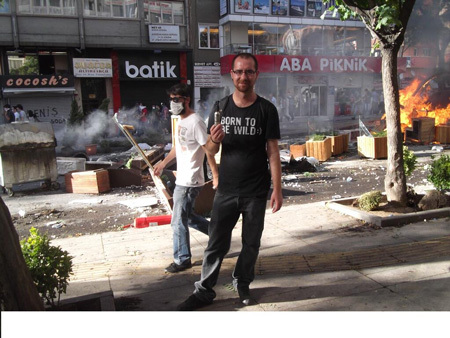 Artist Okan Bayülgen critisizing the non-sense speeches of the government. 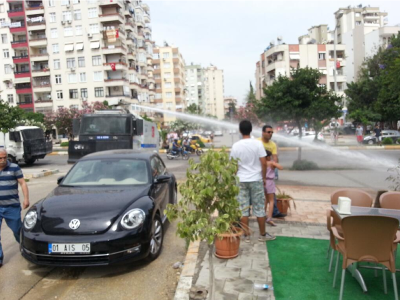 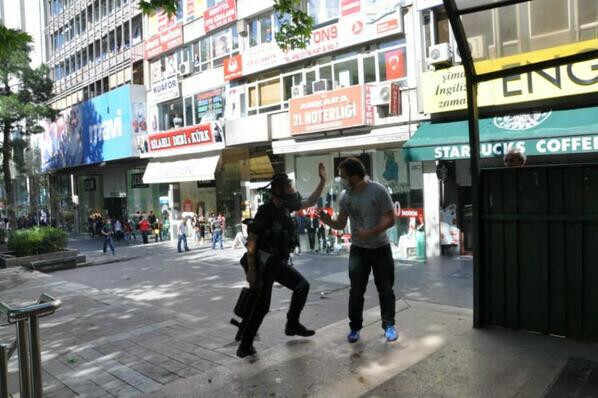 Police watering protesters in Taksim, İstanbul. 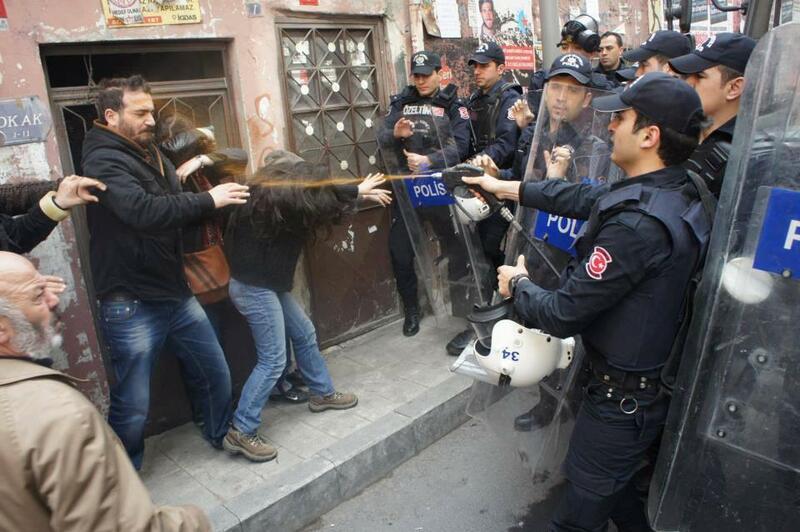 Police forces trying to break down the door of a building protesters, where hide. 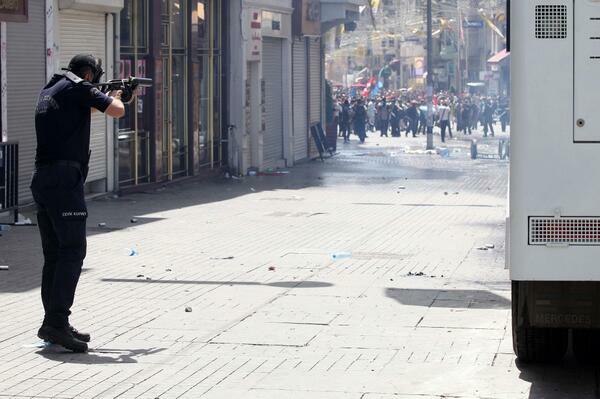 Police shotting down a surrended protester. 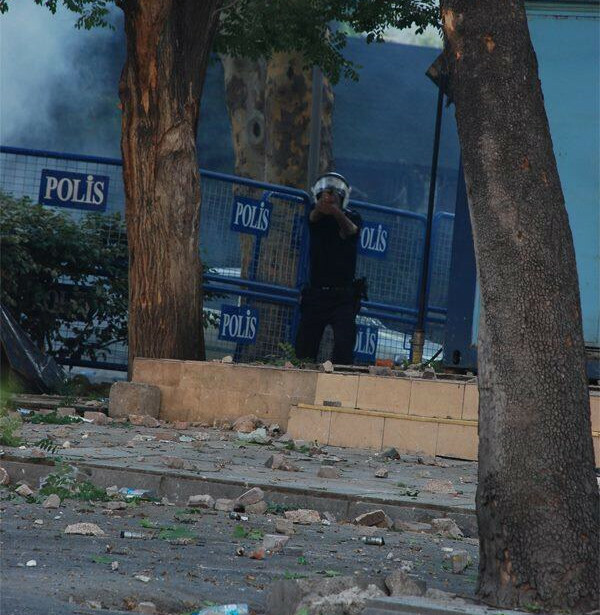 The scene protester Ethem Sarısülük shot by the random police fire in Ankara. Later, Sarısülük loses his life after two days in hospital. 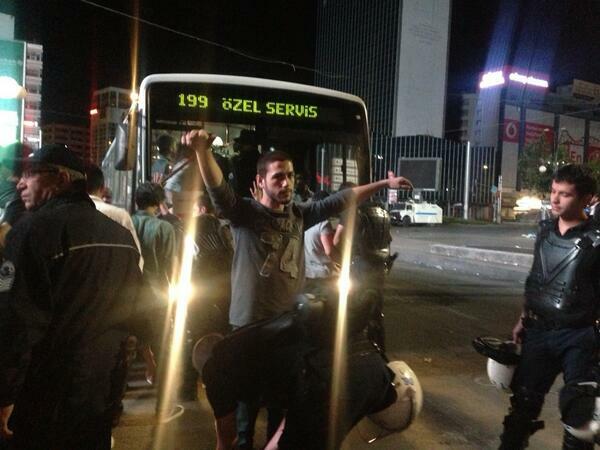 Police forces waters a bus stop out of the blue. 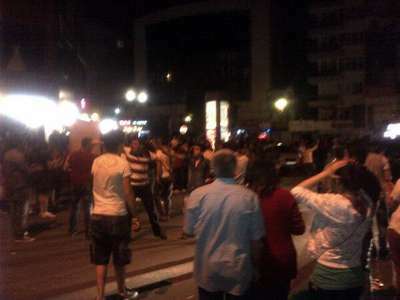 Protesters attacking to the police forces in Ankara. 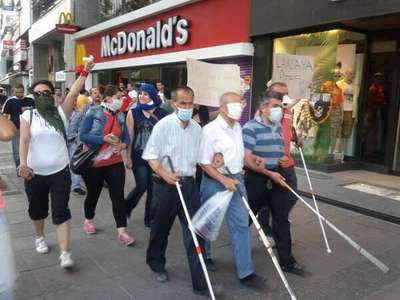 Blind people joins to the protests in Ankara, Turkey. 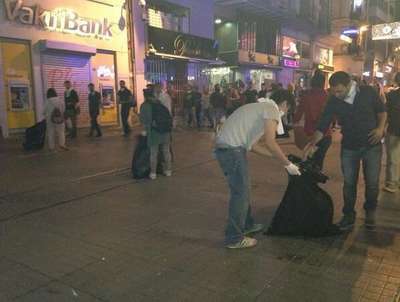 Police officers searching civilians in Kızılay, Ankara, Turkey. 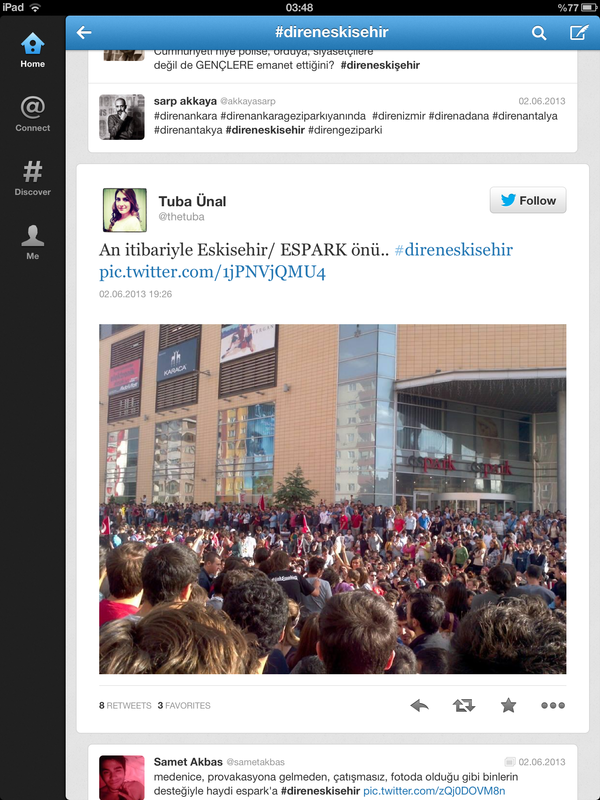 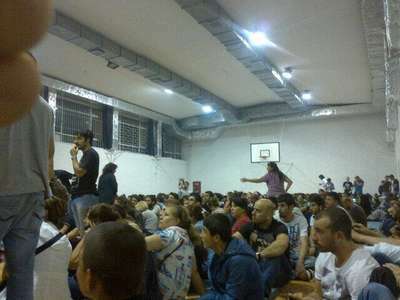 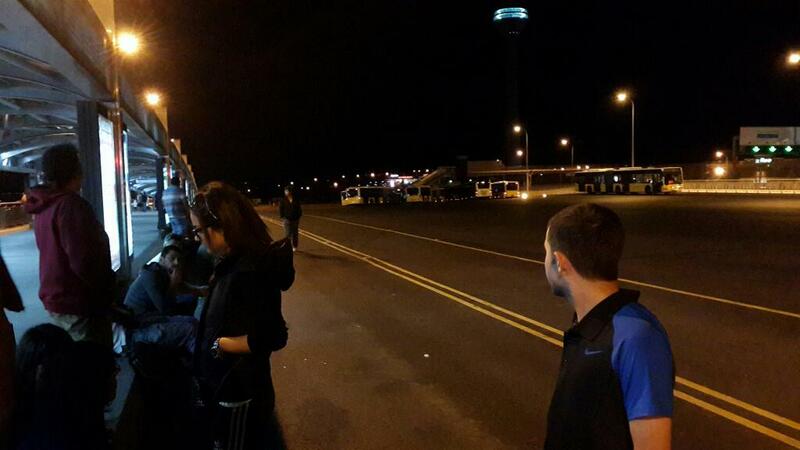 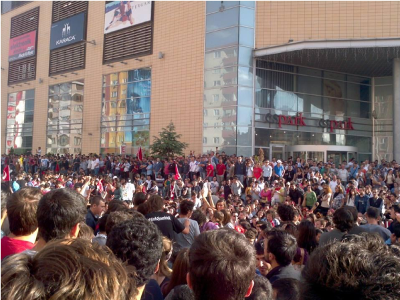 Protesters are in custody in a sports center in Ankara, Turkey. 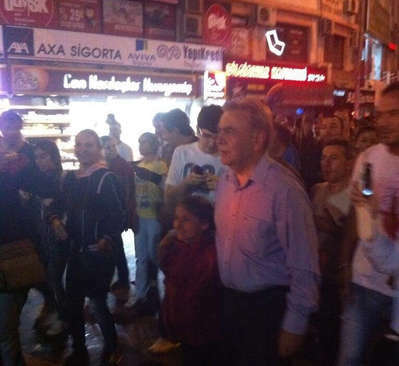 Actor Erdal Beşikçioğlu marching with the protestors in Ankara, Turkey. 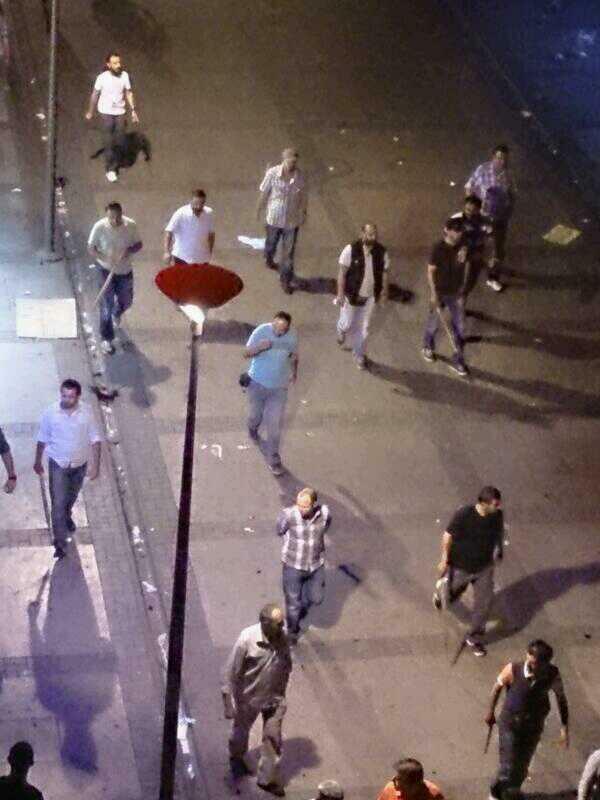 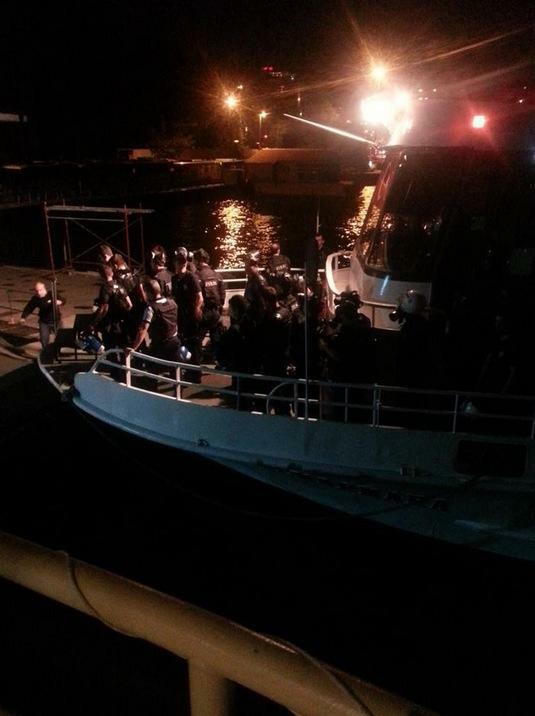 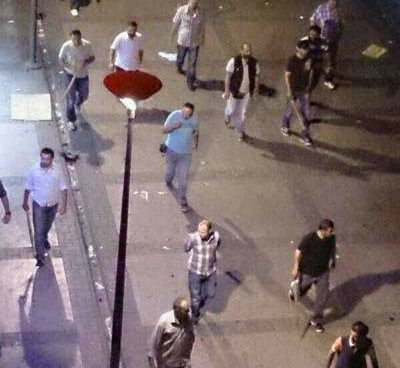 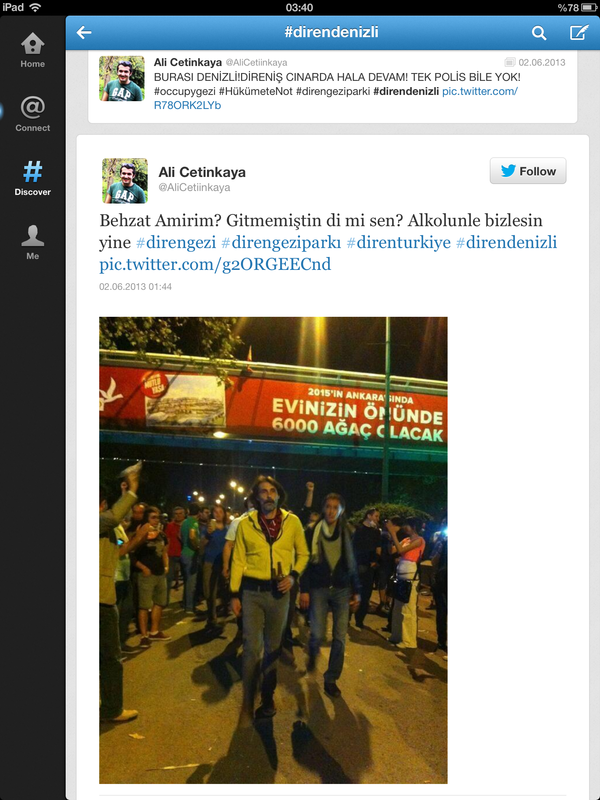 Unidentified civilians company to the police forces with sticks in their hands in İzmir, Turkey. 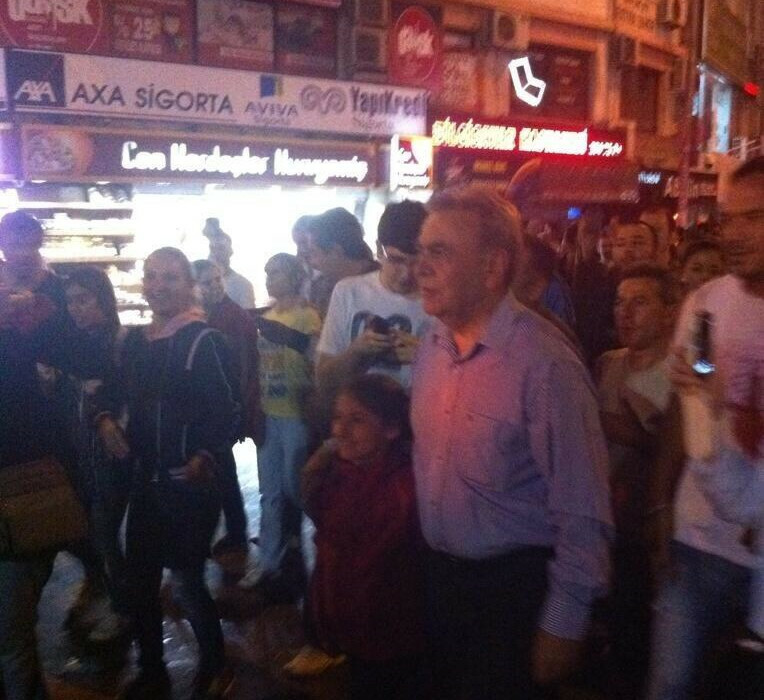 Mayor of İzmir, Aziz Kocaoğlu supporting the protests. 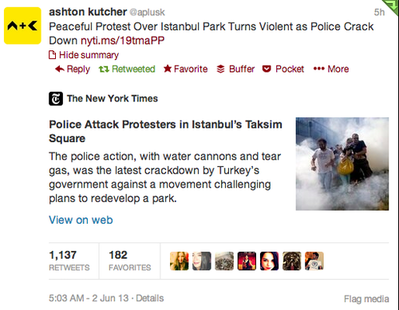 Actor and producer Ashton Kutcher.